Meeting, Wedding and Event Venue in the Funk Zone in Santa Barbara, California. Conferences, mixers, cocktail hours, fundraisers, expos, private parties and dinners, receptions and more! 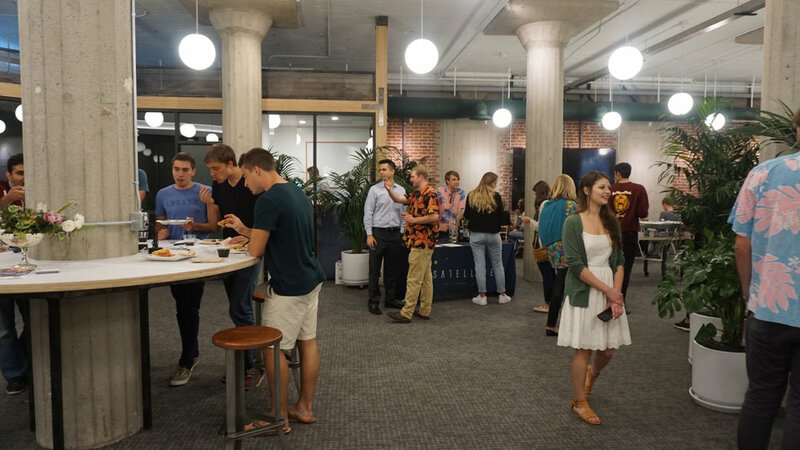 Impact Hub in the Santa Barbara Funk Zone is the creative space you’ve been looking for! The dynamic and spacious layout can accommodate any set up. The bright and spacious kitchen is tucked around the corner to make catering convenient. Let our vibrant artwork and exposed brick with sturdy cement columns be the unique back drop you've been looking for. To make things even more convenient, the venue is only a short walk from the city’s best hotels! And, did we mention we’re neighbor’s with Santa Barbara locals’ favorite wineries and taprooms? After party, anyone?